Lan Ma, Haifeng Zhang, Carrie Han, Danian Tong, Meiyan Zhang, Yi’an Yao, Yu Luo, and Xuebo Liu, Fibroblast Growth Factor Receptor 4 Polymorphisms and Susceptibility to Coronary Artery Disease, DNA and Cell Biology. June 2012, 31(6): 1064-1069. doi:10.1089/dna.2011.1552. Chen H, Tong J, Zou T, Shi H, Liu J, Du X, Yang J, Ma C, Fibroblast growth factor receptor 4 polymorphisms are associated with coronary artery disease. Genet Test Mol Biomarkers, 16:952–956, 2012. These two articles were submitted within a relatively short time from each other which constitutes duplicate submission. In addition, further investigation showed irregularities in the peer review process leading us to believe that the peer review process was compromised. The paper has been cited seven times, according to Thomson Reuters Web of Science. Along with the previously retracted papers, this one was published in 2012, so it’s hard to tell who took material from whom — or exactly how. Lan Ma, Haifeng Zhang, Carrie Han, Danian Tong, Meiyan Zhang, Yi’an Yao, Yu Luo, and Xuebo Liu, Fibroblast growth factor receptor 4 polymorphisms and susceptibility to coronary artery disease, DNA and Cell Biology. June 2012, 31(6): 1064–1069. doi:10.1089/dna.2011.1552. Qing Zhu, Tongtao Liu, Fibroblast growth factor receptor 4 polymorphisms and coronary artery disease: a case control study, Molecular Biology Reports, June 2012, 39(9): 8679–8685. doi:10.1007/s11033-012-1723-8. HF Zhang, KJ Zhao, PF Yang, YB Fang, YH Zhang, JM Liu and QH Huang, Association between fibroblast growth factor receptor 4 Gly388Arg polymorphism and ischaemic stroke, The Journal of International Medical Research, October 2012, 40(5): 1708–1714. doi:10.1177/030006051204000509. In addition, further investigation showed irregularities in the peer review process leading us to believe that the peer review process was compromised. We have strong reason to believe there was involvement from a third party. That “previously published article” should sound familiar by now — it’s one of the previously retracted articles we reported on earlier this year, and has appeared in a total of three notices in this post. We’ve reached out to a few editors listed at The Journal of International Medical Research for more information — was a third party also involved in this paper? 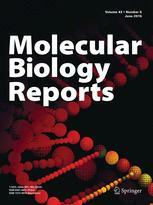 We have also contacted a few authors involved in the Molecular Biology Reports papers: the corresponding authors on the 2014 paper, Baohua Qian, listed at Second Military Medical University, and Haihan Song, affiliated with Tongji University; and to the corresponding author on the 2012 paper, Tongtao Liu, affiliated with Shandong University. We’ll update this post with anything else we learn.